Thank you for your support of the Young Ambassadors Transatlantic Summer Camp for Peace this past summer. We are seeking your assistance to expand. The success of the summer program has created a movement to promote peace, intercultural competence, and motivation to help young people living in distressed areas in the city of Chicago to become citizens of the world. As a result of the summer program, the Young Ambassadors Program.2 has been established and is seeking to become a year around program. Its goals are: 1) a summer exchange program in Berlin, Germany for youths; 2) establishment of German language programs in the local schools in the Roseland area of Chicago; 3) year around youth development that focuses on internationalism and cultural diplomacy; and 4) the intercultural summer sports camp. The summer program, which many of you supported, demonstrated how to help youths make this transformation. How did we do it? Our camp had a intercultural holistic framework. It consisted of a sports segment that attracted youths, who would not have otherwise signed up for the program; an intercultural competency view, where the American youths were introduced the German language and culture; and the German youths were introduced to American and African American culture. The groups were exposed to positive role models. The principal of the host school interacted with the youths. Judges, professors, and police officers also talked to the youths. Our basketball camp played a major part in breaking down cultural barriers and creating friendships. The camp stressed fitness, teamwork, sportsmanship, and interrelation skills. With your assistance, we will be able to expand the program to include more students from the Roseland area. We in the midst of sending out thank you notes to our friends. Be a friend of the Young Ambassadors. Help a young person go to Berlin, Germany and participate in the Young Ambassadors and Kreuzberg Beats Basketball Club. As a result of the success of the Young Ambassadors program this past summer, the host school would like to establish a German language program, the American participants wants to go the Germany, a model to attract and expose inner city students to world language and cultural has been found, and we have established a world citizen movement in the Roseland area of Chicago. As a result, we are establishing the Young Ambassadors.2. We need your support. Help again.
. But first I need your help to complete this groundbreaking program and support of the American students going Berlin. Please donate. 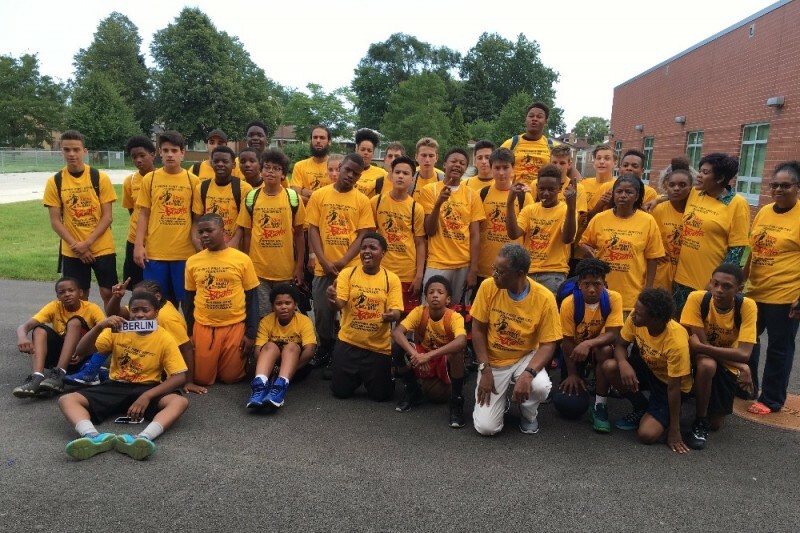 An update, I want to thank everyone who visited our site and supported the Young Ambassadors Program, a Transatlantic Sports Camp this past summer, bringing two cultures together in the name of peace and developing friendship. This was the vision of the Lilydale First Baptist Foundation and the Kreuzberg Beats Basketball Club.. Two years ago, members of the two groups met in Berlin, Germany to solve a common problem, how to successfully integrate youths in societies that marginalized and disrespected groups of color and ethnicity. That meeting resulted in creating the Young Ambassadors Program. The camp was a historical event for the residents of the Roseland neighborhood of Chicago. German and African American youths came together in the name of peace. A program such as this was never held in the Roseland neighborhood. 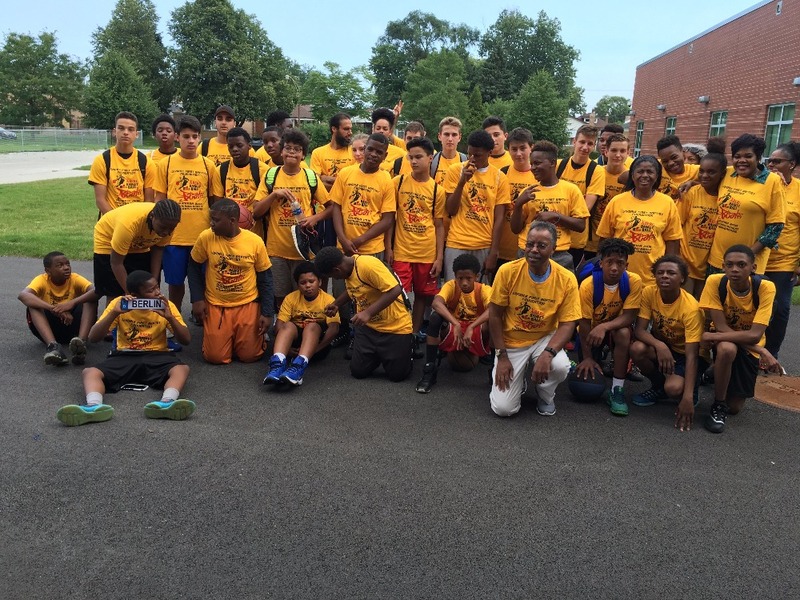 The SPORTS FACTORY staff organized a basketball camp that instilled discipline, fitness, and sportsmanship. The basketball camp was instrumental in bonding the two cultural groups into a unified entity. Basketball is a language that everyone understands. The youths were able to tour the University of Illinois at Chicago, where they met academic leaders who were African Americans. The German students were thrilled to meet University of Illinois at Chicago basketball team members. The German students resided in the residence hall on the campus of the University of Illinois at Chicago and were able to get a glimpse of the American higher education system. Leadership workshops provide the opportunity for the groups to explore commonalities. The American youths learned German in an organic manner, where the German youths served as teaching assistants and tutors. This peer learning process broke down reticence of the American students. Both groups were encouraged to communicate in both English and German. The German youth exposure to the African American community on a daily basis dispelled negative image of African Americans in the media. . At the same time, negative images of Germany were washed away. As a result of the camp activities, the following occurred: the African Americans begin to see the importance of learning a world language; 2) Interest in traveling to Germany; and 3) Interest of the host school to offer the German language to its students; instilled confidence in the youths. Your continued support will enable Lilydale First Baptist Foundation and the Kreuzberg Beats Basketball Club to continue to train tomorrow leaders. I am more than happy to support such a wonderful program. John: You are planting seeds of peace and hope for better future for our young people here and across the Atlantic. Great idea John. Good luck!